Broken Chains is not just focused on the immediate needs of the homeless, but we live to provide spiritual guidance for long-lasting changes in those we reach with our ministry. One of the ways we do this is by cultivating a culture of respect and love of life for the homeless. 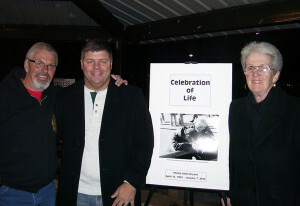 We do this by holding Celebration of Life ceremonies for those who die homeless on the streets. Many of these people die without connections to family, friends, or loved ones; outside of others living on the streets, or those volunteering with our ministry. Instead of passing away without anyone knowing or caring, our ministry brings value to lives who need someone to care, when no one else may even know where they took their last breath. Through our Celebration of Life Services and the individual effort we make, loved ones have been able to find out about their long-lost relatives that they didn’t even know were on the streets in Las Vegas. Our Celebration of Life services help to provide closure and healing for families who were disconnected from their loved ones on the streets. They also make a statement in our community that every life matters no matter where they may sleep. To find out more about our Celebration of Life Services and how you can be a part, contact us.